Surface ablation of the Greenland ice sheet is amplified by surface darkening caused by light-absorbing impurities such as mineral dust, black carbon, and pigmented microbial cells. Microbes that colonise glacier surfaces have the potential to increase in biomass and thus darkening impact given liquid water, sunlight and nutrients. However, the impact of microbes on ice surface albedo is the least understood and quantified melt-enhancing factor on the ice sheet. 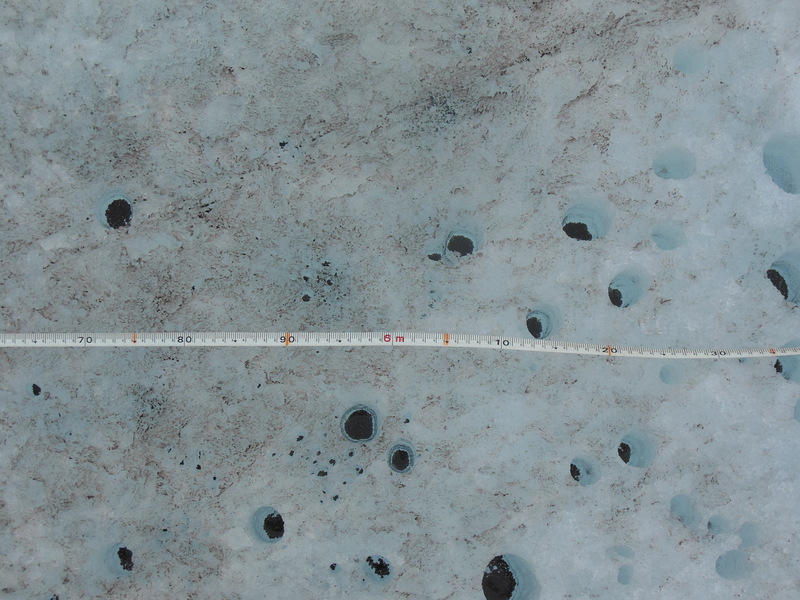 A new study, co-led by Marek and Jason Box from the Geological Survey of Denmark and Greenland and published in Geophysical Research Letters, brings the first quantitative assessment of the microbial contribution to the ice sheet surface darkening, based on field measurements of surface albedo and concentrations of light-absorbing impurities, including pigmented algae, during an entire melt season in the southwestern part of the ice sheet. We found that the impact of algae on bare ice darkening was greater than that of non-algal impurities and we argue that algal growth is a crucial control of bare ice darkening. Thus, incorporating the algal darkening effect will improve mass balance and sea level projections of the Greenland ice sheet and ice masses elsewhere. An AGU press release can be found here. The story has been covered by a number of outlets, including Scientific American, ArcticNow, and Earther.